The sun had risen above the horizon only an hour before, but many of the denizens of the House of Sighing Shadows had just found their beds. As the most exclusive brothel in the Capital the courtesans who called the House home kept odd hours. Many of the clients who had spent the night with their favorite courtesan were already on their way home or to whatever other business they might have. 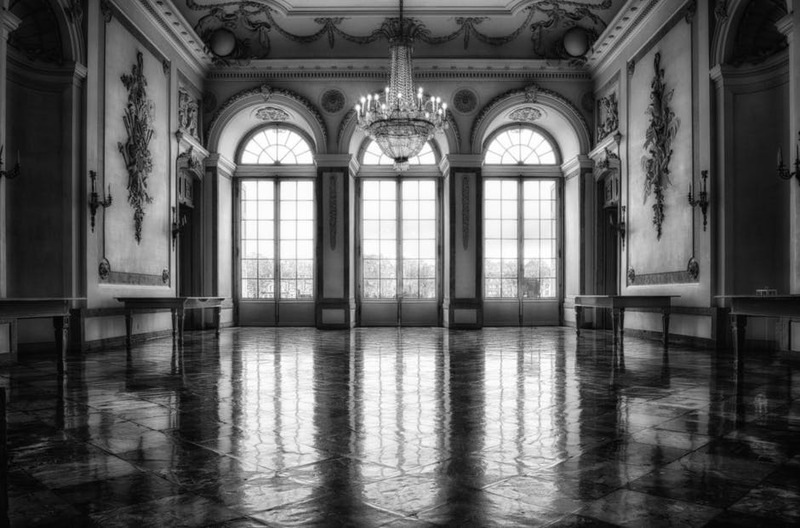 The discreet staff of the House knew not to make eye contact with the members of the aristocracy as they exited the rooms that lined the upstairs halls. While they would not speak with the clients they would assure that horses and carriages would be ready to convey them from the estate in the style they were accustomed to. As the head of housekeeping, Milly Snyder oversaw the large staff who kept the House in impeccable order. From clean sheets to polished floors. There was no part of the brothel which did not receive her attention. Normally the servants used the hidden passages in the walls to move from place to place, but Milly had an important message to deliver and did not have time to delay. 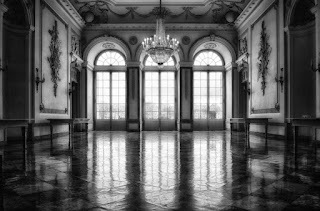 As she strode purposefully down the hall on the second floor she marked in her mind what needed to be dusted and mopped. The floor would not be considered fully clean if she could not see her reflection in the dark tiles. Those who partook of the services of the brothel expected the very best. It was Milly’s job to see that they received it. With only a muffled groan as an answer she sighed a second time and tried the latch. As she found the door unlocked she bustled inside and made her way over to the windows that overlooked the gardens below, “Time to awaken, Master Lucas. The day has dawned, and the sun is in the sky.” She pulled the curtains open to flood the room with the bright spring morning sun. From the large four-poster bed, she heard a voice grumble and whine about how early it was. Her exclamation came as she grabbed the blankets to pull them down off the roused form of the courtesan, only he was not alone. Three others shared his bed this morning and now all four complained at the sudden influx of daylight on their rest. Milly stood there with her hands on her hips as she just shook her head, “Out! You, you, and you... out now. Back to your own beds you silly sluts,” her tone was a mix of exasperation with a touch of affection. Lucas Leander stretched, his arms over his head as his back arched and his toes wiggled. With a low groan, he collapsed once more then looked up at her with a sly smile. “My client was… disappointing,” he said as he held up his pinky finger. “The Mistress?” The mention of that name was more effective than all the coffee from the Goddess Isles. It banished all thoughts of sleep from his mind. “Why didn’t you say so in the first place?” He scurried past her into the washroom and left the robe on the floor again in his rush. “You weren’t awake enough yet,” Milly called over her shoulder as she pulled outfits off the racks to pack. She did not think there was a courtesan in the whole House who had as many clothes as Lucas did. He was on a first name basis with most of the finest tailors in the city. From talented novices to those who served the Imperial family. “My ivory comb and new brush… oh, and my new makeup case… It is under the vanity.” He called out once more. “You are more high maintenance than most of the girls in this House.” Milly chuckled as she retrieved the makeup case. As the maids set to work, they took knick knacks, books, and other personal trinkets that belonged to Lucas off the shelves. Milly walked out onto the balcony to have a moment with her thoughts. As she looked down on the garden she twisted the carved ebony bracelet she wore at her wrist like so many other employees of the Mistress. She did not know why the Procurer seemed so certain that Lucas would not return to the House, but it had been horribly difficult to hide that knowledge from the psionically gifted youth. The House already seemed a darker place without his light and laughter. She hoped whatever the Mistress had planned for the boy it was better than being a high-priced whore. She turned back to the room to see more servants had arrived with crates. It was time to get to work if they were going to have the next highest earner moved into this room by the end of the day.